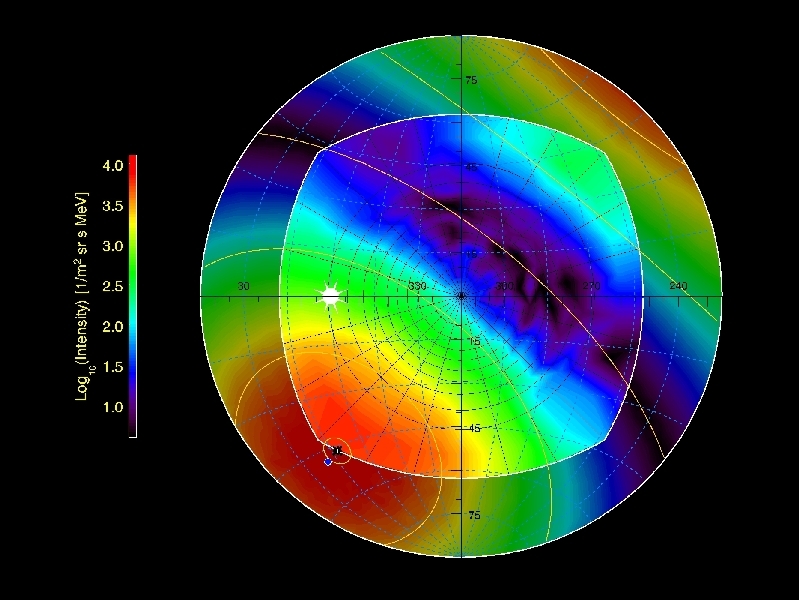 ERNE/HED measurements of an "interplanetary highway" for 17-22 MeV protons. The particles were accelerated by a major flare on 2 May 1998. 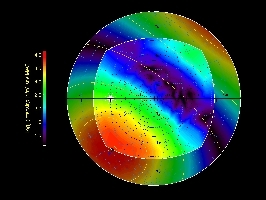 To the area outside the HED the viewcone (marked with a semi-circular boundary) an estimate of the distribution is drawn, based on the high resolution pitch-angle distribution measured by the instrument.